What makes a great NBA coach? A question with a multitude of answers has intensified throughout the NBA playoffs, but especially in the East. The centers of attention are Brad Stevens and Tyronn Lue. 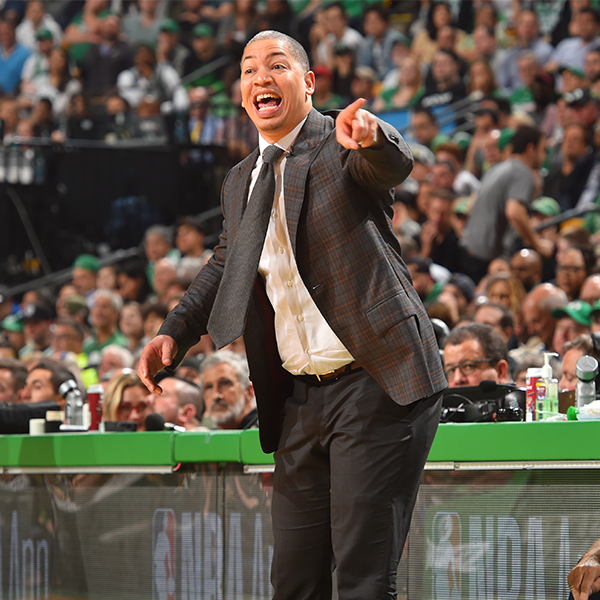 Stevens is described as the Celtics’ “bright young coach” who wins with strategy and guile. Lue is the Cleveland head coach who wins, so goes the narrative, because of LeBron James. Forget that both coaches are 41 years old. This media-instigated double standard has become more pointed, and convoluted, with each game these teams play. When the Celtics win, Stevens takes a step closer to the Hall of Fame despite having won no NBA titles, no conference titles. When the Celtics lose, as they did by 30 points on Saturday, it’s because of Boston’s youth. Conversely, when Cleveland wins, James gets the credit; when Cleveland loses, it’s Lue’s fault. After the Cavaliers’ lopsided Game 3 win, I asked Lue about what appeared to be his no-win predicament. During his playing career, Lue played with Michael Jordan, Kobe Bryant and Shaquille O’Neal. He knows the benefits of playing with Hall of Fame-caliber players. On Sunday, I went to the Cavaliers’ practice to follow up on that question — what makes a great coach — and to ask one more: What are the perils of coaching a megastar?